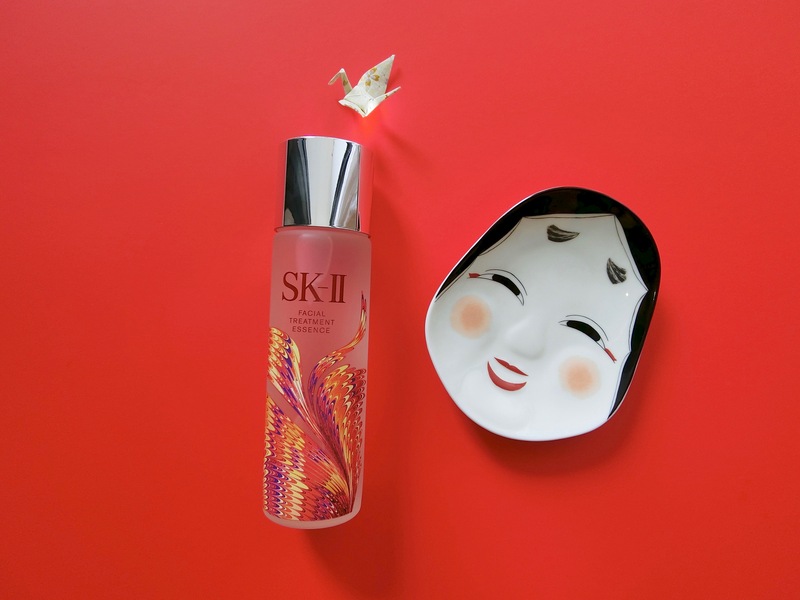 If you swear by SK-II’s Facial Treatment Essence, then its yearly limited edition designs will get you hyped. Another pretty addition to the dressing table, this year’s FTE is emblazoned with the ephemeral Japanese art of Suminagashi. An ancient marbling art form, Suminagashi translates to floating ink in English. Surprisingly easy to create, and each pattern is different; so you can never re-create the exact same lines and curves because it is all left to chance. The masters drip bright paint onto a tray of water to create patterns; then lay a sheet of paper on top of the ink so it is”printed” on. Suminagashi is fitting for this year’s SK-II FTE festive theme. After all, the FTE was inspired by aged sake, which kept the brewers’ hands youthful-looking. My own experience with the FTE? I’ve used it for many years, and it never disappoints. It keeps my skin clearer and translucent-looking. So much so that whenever I stop using it, I actually see a difference in my skin tone and start to break out. There must be a reason why millions of bottles have been sold, and it is a money-spinner for parent company P&G. In this day and age, products that do not work just won’t cut it. When reviews of beauty products are aplenty, a formula that is just faking it will never see the light of day for very long. The FTE’s secret is a strain of fermented yeast, which produces Pitera, a clear liquid rich in amino acids, minerals, vitamins and acids. The popular FTE opened up an entirely new category in the beauty industry. It is not an alcohol-based toner, not a serum, not a cream; but a watery essence. It has also spawned hundreds of other watery-essences in the market. But SK-II’s is unlike any other, because of its potency. With the Holidays approaching, this classic is adorned in bold hues and patterns to remind you of that.